Stanley Allan Sherman founded RCCU in 2001 with Hovey Burgess and Julie Goell and combined their teaching, performing, acting, directing, writing and mask making talents to give students a firm grounding in Classical Commedia dell'Arte. Along with special guest teachers RCCU offers an integrated Commedia dell'Arte program of characters, masks, history, rhythm, Hébertism, music, mime, movement, dance, props, acrobatics, skills, improvisation, lazzi, scatology, scenarii* and more. With Julie and Hovey developed this strong program. Julie Goell passed on recently 1951 - 2016. Hovey Burgess is now in semi-retirement. Stanley since then is growing this program bringing in special experts that contrubut to this unique full program. RCCU is committed to strengthening and drawing out the individual qualities of each student. Participants learn the physical style of Commedia dell'Arte as we believe it was "then" and how it may be used "now" as a creative tool for actors, performers, directors and teachers. 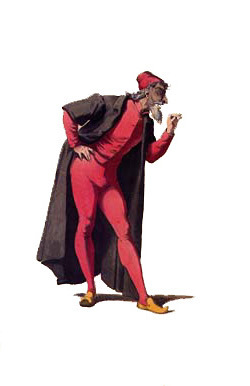 Roving Classical Commedia University* would like you to simultaneously experience the momentum, effort, historical, physical, joyful and risky style of the Commedia dell' Arte. It is not just about Commedia but developing skills for acting and connecting honestly with moment-to-moment impulses in improvising and in performing. I am going to recommend you to all of my students and colleagues. the masters of Commedia dell'Arte of the 20th century. Thank you Jacques Lecoq and Carlo Mazzone-Clementi.